Developed by a three man team describing themselves as a passionate photographer, a frustrated engineer and an electronics geek, the TinyMOS has been designed from the ground up specifically for the purpose of astrophotography. Over the past year, the three have been working a way to get to the point where they’re ready to open up the project for funding. 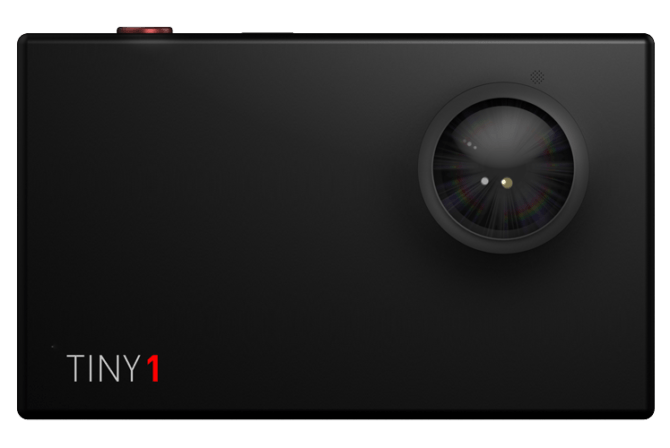 With their Indiegogo campaign now only three weeks away, specifications have been released, and sample images to show off the camera’s capabilities. Bearing in mind that the key focus of this camera is astrophotography, the features that it offers are certainly intriguing. As well as including the social media connectivity expected in many of today’s small cameras, the TinyMOS also features an augmented reality application, which allows the user to easily see exactly where in the sky their camera is aimed, even if they’re still waiting for the clouds to disappear. You can also search for specific objects in the night’s sky, and as you point your camera towards the heavens, an arrow guides you to your target, to help ensure that you’re not going to miss it, all accessible through a 4.3″ Multi-touch capacitive IPS panel. But let’s have a look at the specs. Powered by a Qualcomm Snapdragon Quad Core 1.8Ghz processor, with 4GB RAM, built in WiFi, Bluetooth, and supporting microSD cards up to 256GB, this camera certainly should pack quite the little punch. What’s interesting is how low resolution the stills are. While 2.5K is still pretty impressive for 60fps video, even with many of today’s cameras being released with 4K capabilities, a 2.5K still is only about 4MP, and we haven’t seen new cameras producing still images of that size in well over a decade. Of course, theoretically, the lower the resolution, the larger the photosites, and the greater its light gathering abilities, allowing it to see in the dark more easily. With social sharing and video being the priority, perhaps such a low resolution won’t turn out to be that big of a deal to most potential users. For lens connectivity, the TinyMOS features a C-Mount, commonly found on 16mm movie cameras and closed-circuit TV cameras. A wide array of lenses are already available for this mount, meaning that the camera comes already comes with many options, both cheap and expensive, to suit your needs. Many C-Mount adapters already exist and are readily available, allowing you to utilise your existing Nikon, Canon or M42 lenses, as well as many others. It’s nice that something like this is coming out that can so easily be added to an existing bag of kit, rather than having some new custom lens mount, or relying on a low quality built in lens that you can’t change, and won’t always give you what you want. While the image quality will be highly dependent upon the lens you use, the example images shown so far don’t look that bad at all, especially considering they were made with a simple prototype. Sure, they may not yet be on a par with something you might get with a DSLR, but I don’t think that’s the point. It’s not trying to compete with the high end DSLRs. It’s simply trying to get this type of photography into the hands of the online-sharing masses, and hopefully it’ll come in at a price point which helps to facilitate that. I’ll reserve final judgement until the IndieGogo campaign starts and prices are announced, but if it’s inexpensive enough, then I could potentially see adding one of these to my bag for those nights camping light in the Lake District (assuming we ever get some nights not completely obscured by cloud). You can find out more over on the TinyMOS website, and keep an eye out on Thunderclap for updates on the campaign. You can also follow the news on Facebook, see more sample and behind the scenes photos on Instagram, and reach out to the team through Twitter.